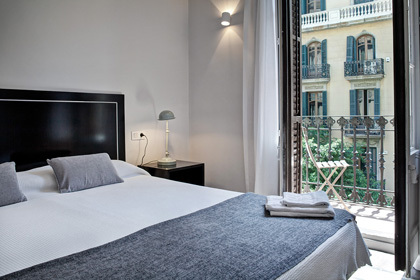 The Mar Studio building in Barcelona is located in la Barceloneta; a short walk from the beach. 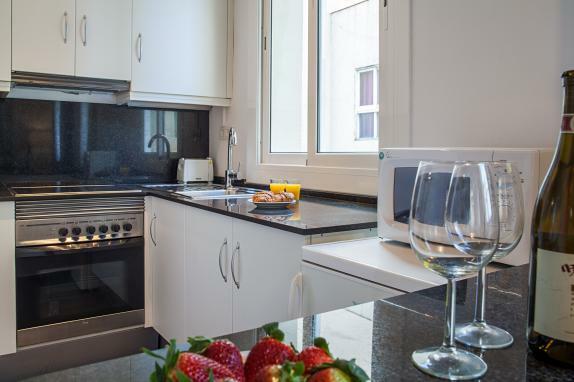 Mar Studio Apartments, with an area of 40m2, are equipped with everything you need. The space is organized very well; it features a cosy double bed, some of them one sofa bed for 1 person, a dining table suitable for 4 people, a well equipped kitchen and one complete bathroom. The studios also have a lovely balcony that fill with natural light all over the place. 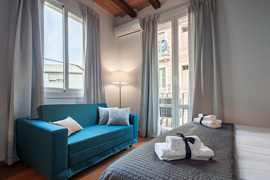 The decoration gives a Mediterranean atmosphere to all the apartments, that will make your stay even more homely. In Mar Studio apartments, you can have a relaxed stay in Barcelona enjoying the beach life. 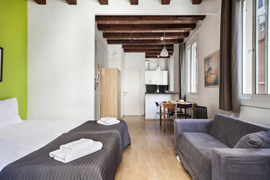 Mar Studio building is located in carrer Paredes in Barceloneta district. 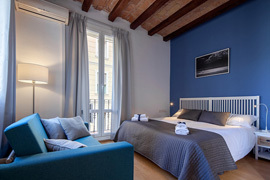 La Barceloneta is an antic sailor district, now a peaceful area with typical fish restaurants at a stone's throw from the city centre. 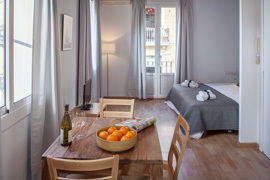 The apartment is just 7 minutes walk from the beach and 10 minutes walk from the Born area, central and lively district of Barcelona. The centre is very close by. Las Ramblas are at 2 metro stops, but you can also go walking along the see or crossing the Born and Gothic districts. Enjoy strolling down the front-sea to the Port Olimpic, renovated for the Olympic Games of 1992, where you can find a large range of restaurants and cafés as well as a very animated nightlife. On the other side is Port Vell, Barcelona's big shopping mall Maremàgnum, and Barcelona's aquarium, the second biggest aquarium in Europe. 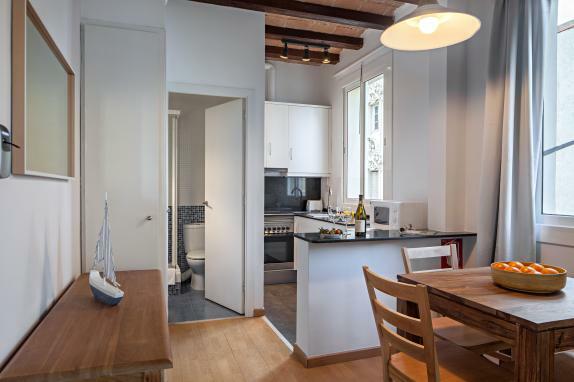 Cosy studio in Barcelona. 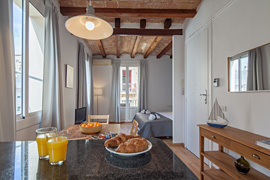 It is just 7 minutes walk from the beach. 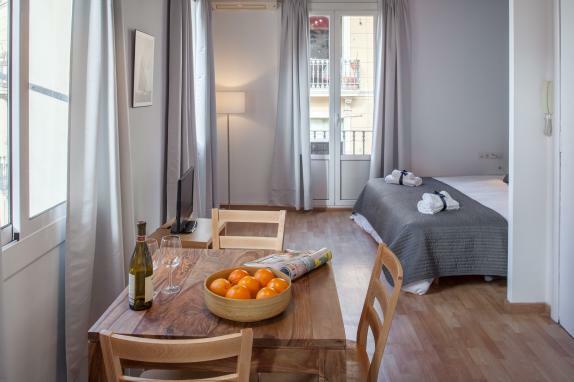 Charming studio in Barceloneta located 7 minutes from the beach. 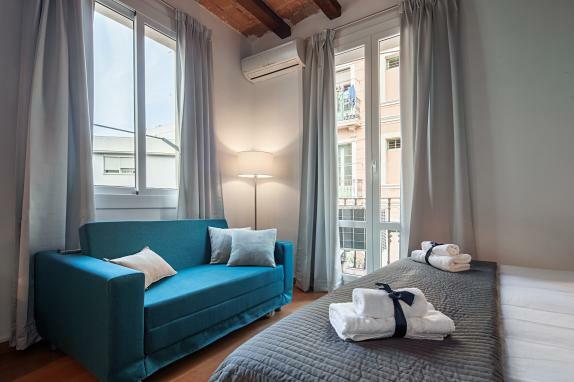 Lovely studio located near the beach. 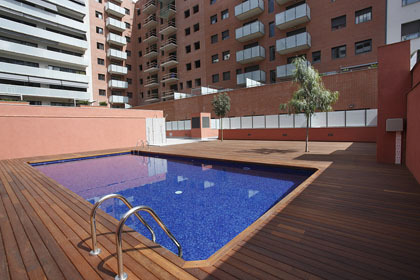 Barcelona studio located just few minutes from the beach. It has a small balcony. 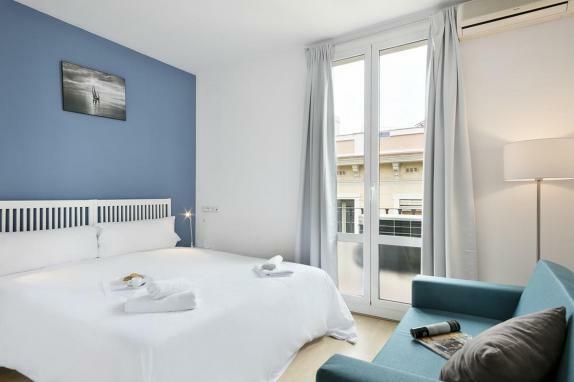 Comfortable studio with balcony in the heart of Barceloneta. Charming studio in Barcelona with great location, just few minutes walk to the beach. 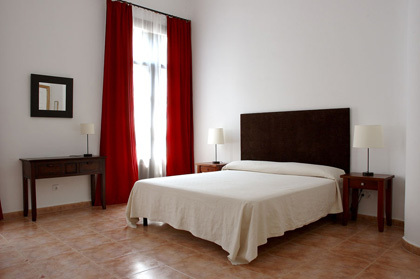 Comfortable studio in Barceloneta just few minutes from the beach. It has small balcony. 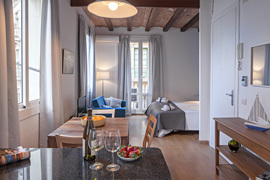 Cosy studio located just 7 minutes from the beach. 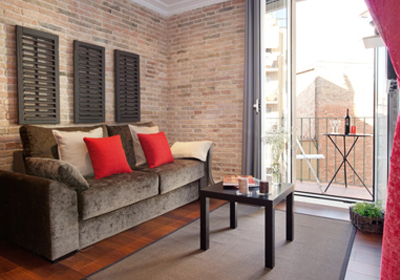 Barceloneta studio with small balcony and excellent location. A few minutes from the beach.